Brokers Data is now offering telemarketed leads exclusive to you and your sales organization! Sales leads are exclusively produced for you and sold only once... to you! Every sales organization is searching for the "Holy Grail" or the "Glengarry Glen Ross" of lead sources. Well now look no further. We here at Brokers Data not only can show and train you how to generate your own leads using our data, lists and marketing solutions, but we have increased the size of our telemarketing division and can now produce the lead for you. We can generate leads for many verticals of the databases we are now selling and we will be happy to discuss your specific needs in a free private consultation with you or your marketing director. All of our phone reps are located right here in the USA and not offshore. Our phone reps speak perfect English and we do not push the call to extremes like some call centers do, forcing the prospect to either hang up or reluctantly say yes just to end the call. This makes for a better, closable lead! So what are the steps in getting started with our Exclusive Telemarketed Sales Leads? First click the Quick Quote banner below. The web inquiry form should be filled out as comprehensively as possible. 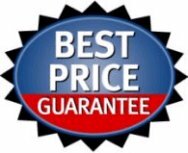 Once we receive your inquiry form, you will be contacted by a member of our staff to discuss your exclusive telemarketed sales leads campaign. During the initial consultation, we will gather enough information to compose a script for our telemarketers to follow while generating your sales leads, what you would consider to be a valid lead, and general input we will need from you to launch your successful campaign. Once we receive your payment for your campaign, we will start to call within 48 hours. A FRESH, EXCLUSIVE, TELEMARKETED lead in YOUR AREA. Prospect HAS AGREED to receive information about your offer. Script filtered with questions to eliminate non-qualifers. No set up fees or long term commitments. 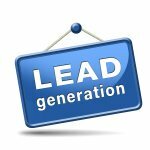 So, what type of leads can we produce? Many different varieties of course, so give us a call if you may have a specialty campaign in mind. All of our phone representatives are in the USA and speak perfect English. Let us know how we can help you and let's see if we can work together to become your primary lead generating solution. If you have any questions about starting a telemarketing campaign, call us or fill in the contact us form below. Looking to start a mortgage lead campaign? Read more here.